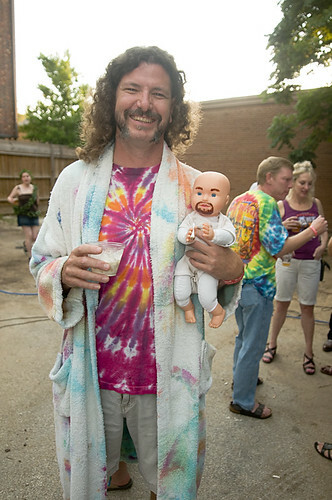 Lebowski Bash – Far Out! » Well. I Guess We Can Close the File on that One. Yes, you read that right – HUMAN BOWLING! Mark you calendars as we have an insane amount of fun coming your way Friday November 13th at Discover Green in Houston. This years party is brought to you by the Houston Downtown District along with Discovery Green and Houston’s newest bowling lanes Lucky Strike. Pre-Party Happy Hour at Lucky Strike! Festivities start rolling at 5 pm as Lucky Strike will host the bums with a special Lebowski Bash White Russian and Bowling Pre-party. Lucky Strike will have special happy hour pricing on Caucasians and Saint Arnold beer. Lucky Strike happy hour runs from 5 pm – 7 pm. Map to Lucky Strike. It’s only a couple blocks from Discovery Green! After you’ve fueled up at Lucky Strike head over to Discovery Green where festivities get underway at approximately 7:30. Live music from Houston’s own Picture Book. Costume Contest: Categories are Best Male Character, Best Female Character, and Most Creative. Fabulous prizes provided by Lucky Strike Lanes. Movie screening on the hill: Will start around 10:00 PM. Bring you lawn chairs and blankets.